The Yonex Arcsaber i-Slash weighs 3U (85-89g) and is packed with various technologies. The CS Carbon Nanotube improves the frame’s flexibility, while the New Grommet Pattern provides more high-performance stringing. The racket also offers the Solid Feel Core to reduce vibration at impact, as well as a smaller frame size to cut unwanted air resistance and improve the racket’s feel. The AERO+BOX Frame guarantees solid hitting feel and quick swing, whereas the NEW Built-in T-joint enhances quality and performance. Additionally, the Arcsaber i-Slash is the slimmest Yonex racket which has the Control Support Cup for a perfect grip and the sharpest manoeuvrability. 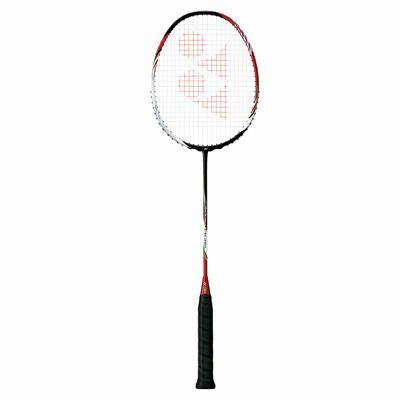 for submitting product review about Yonex Arcsaber i-Slash Badminton Racket.